Payment for On-Site Modules and Retreats must be received before application will be processed. For courses that include lodging and meals, lodging will be assigned on a first-come, first-served basis based on postmark date of payment. IF YOU DON’T HEAR BACK FROM US VIA A HUMAN GENERATED EMAIL IN A DAY OR TWO REGARDING YOUR REGISTRATION, PLEASE EMAIL jeff@professionalyogatherapy.org. We occasionally fail to receive registration notifications due to various spam filters. This does not happen very often. FOR USA Based Courses, please make checks payable in US Dollars to Living Well, Inc. and post to PO Box 4661, Emerald Isle, NC 28594.. On receipt of your registration, for online payment options, we will send you an invoice that can be paid via credit card or bank transfer. **Note: Dr. G’s book, Medical Therapeutic Yoga, is required for all PYT Program onsite modules. Learn more and order here! Please enter the date of the scheduled course you are registering for. Commuter: $175 commuter fee (facility fee). Meals are extra and are optional. Meal plan options will accompany your course confirmation email. PLEASE CONTACT US FOR ROOM AVAILABILY. WE WILL ASSIGN REQUESTED ROOM TYPE IF AVAILABLE. On site courses require lodging to be selected. Lodging includes breakfast, lunch, and dinner during the course. Lodging option subject to availability. If you inadvertently select a sold out option or if we sell out of an option prior to updating the registration form, we will put you in the next lower level of available room and adjust your lodging balance to reflect this. We will do our best to honor room mate requests whenever possible. 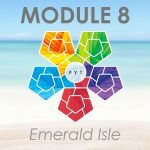 If you have not taken Modules 1-7, remember it is highly recommended that you have them completed before you attend Module 8. 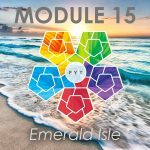 If you have not taken Module 10, remember it is highly recommended that you have it completed before you attend Module 14. 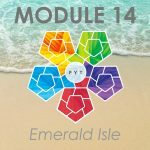 If you have not taken Modules 11 and 12, remember it is highly recommended that you have them completed before you attend Module 15. Did someone refer you to PYTI? If so, please enter their name so we can thank them with a membership upgrade! By registering for any PYTI® Modules or purchasing any products from PYTI®, you acknowledge that you have read and agree to the Terms & Conditions below. An electronic confirmation will be sent once your application has been processed and approved by Admissions. Registration for a course does not indicate automatic acceptance into the PYTI program. The admissions process can take up to 5 business days. Because of our small class sizes, PAYMENT MUST BE RECEIVED before your application will be considered in order to guarantee your spot in the course. No notification or processing of your application can occur until payment is complete. Please make sure your email address is accurate as this is our primary method of communication and confirmation for courses. Certificates of attendance are issued via email upon receipt of course evaluation. Lodging, meals, and tuition come as one unit for Module 8 (retreat version), 14, and 15. Students must arrange their own lodging and meals for all classroom versions. Living Well, Inc. reserves the right to deny registration if there are not enough course materials and/or there is inadequate time to prepare and/or ship additional course materials before the start of class. 30 or more days prior to the course: Written cancellation must be received for a tuition refund less a $250 admin fee. Cancellations less than 30 days from the start of the course will receive one half of what remains paid after $250 admin fee. No refunds for cancellations received 7 days or less before start of class. Any tuition credit transferred to another course expires one year after the original cancellation unless PYTI determined course schedule prevents using the tuition within the time frame. In this case, tuition credit will expire after next class(es) the student is eligible for to continue their PYTI training. Living Well, Inc. does not administer on-demand or online courses. Tuition credit is only available for PYTI hosted on-site courses. Registration for PYTI on-site courses constitutes an agreement to pay for the class in full, of which $250 serves as a non-refundable deposit. Any non-PYTI solicited changes to class attended with incur a $75 change fee. Just like the airlines, if you request a change, there is a fee due to additional PYTI workload to administer the change. Certain circumstances require cancellation of courses (to include but not limited to: not meeting minimum course registration requirements or acts of nature). Living Well, Inc. is not responsible for students' airfare, hotel reservation, or any other expenses incurred as a result of the student registering for any PYTI course. Living Well, Inc. will give its students the option of a refund for the course module tuition for courses cancelled due to not meeting minumum course registration requirements or will grant carryover of the tuition to apply toward tuition for an on-site course of the student's choice. Tuition credits will be issued for courses postponed within 7 days of the course start date due to acts of nature. Courses postponed while the scheduled course is in progress due to acts of nature will receive tuition credit for content not yet presented. Student will be responsible for any balance remaining between the refund/credited amount and the substituted course tuition, if applicable. Course prices and registration policy are subject to change without notice. Course prices and dates shown in our online catalog supersede all other pricing and date sources, including but not limited to: email marketing, snail mail brochures, online brochures, and other references that may be contained within the PYTI website or PYTI correspondence. Course prices are in US Dollars. Payments accepted in US Dollars only. Our PayPal links enable currency conversion, please contact us if you have problems converting via PayPal. If course price changes after you have submitted your registration and payment and you have received confirmation of same from PYTI, you will not be billed for the difference in course price. Due to catering planning requirements, registrations will be accepted for classes up until one week before class starts. Registrations are processed in the order received. Graduation and receipt of credentials from any PYTI program, whether CE or PYT/PYTA program, is exclusively dependent on the approval of the executive director. You agree that you are paying for training and not certification. Receiving any medical yoga therapist credentials, whether through CE or the PYTI program, requires approval from the executive director in addition to passing all oral practicals, case studies, written and oral testing, and final community case competency or final research thesis project. All hours must be attended in each course module to be eligible to receive any medical yoga therapist credential. Any contact hours missed must be made up with contact hours under the supervision and direction of the executive director. Any non-contact hours not completed must be completed with non-contact hours. Proof of attendance or certificates of attendance will only be issued for the actual hours attended. Any time missed from any course module must be made up by attending the missed hours of that course module with the same course module at a later date. Graduating PYT students must send in a copy of their current license in the state which they practice. If the PYTI student is a student of a health care professional program, the student must provide evidence of active student status (i.e. letter from the registrar of the University or other institution they attend attesting to their current active status as a student). Licensure is not required for continuing education courses and to take Professional Yoga Therapy courses as continuing education only. Certification will not be awarded to non-medical professionals on completion of the Professional Yoga Therapist Certification Program unless the candidate practices under the direct supervision of a licensed medical professional. Special admission in these cases will be provided on a case-by-case basis and must be approved by the PYTI Executive Director or authorized representative. 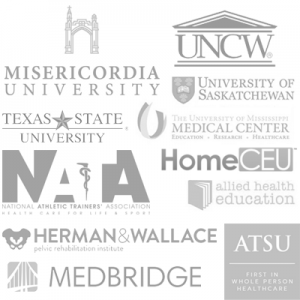 Only continuing education credit hours will be awarded to non-medical professionals. PYTI will award retroactive PYT credentials to non-medical professional graduates who subsequently complete a licensed medical professional program through an accredited university or other program or can show that their PYT practice is under the direct supervision of a licensed medical professional. Living Well, Inc. does business as the Professional Yoga Therapy Institute. All checks should be written to Living Well, Inc. and posted to PO Box 4661, Emerald Isle, NC 28594. PYTI RETREATS TERMS, CONDITIONS, AND OTHER INFORMATION --- CONFIRMATION LETTER An electronic confirmation will be sent once your retreat reservation has been received and processed. This process can take up to 5 business days. Please make sure your email address is accurate as this is our primary method of communication with you. RETREAT DEPOSIT AND PAYMENT A non-refundable $500 deposit is required on registration. Please make your check out to Living Well, Inc. and post to PO Box 4661, Emerald Isle, NC 28594. Final payment of balance is due 90 days before the start of the retreat event. CANCELLATION/REFUND 90 or more days prior to the event: Written cancellation must be received for a refund of all fees paid less the $500 non-refundable deposit. There are no refunds for cancellations less than 90 days before the start of an event. CANCELLATION OF RETREAT EVENT Certain circumstances require cancellation of events (to include but not limited to: not meeting minimum registration requirements or acts of nature). Living Well, Inc. is not responsible for students' airfare, hotel reservation, or any other expenses incurred as a result of the student registering for any PYTI event. 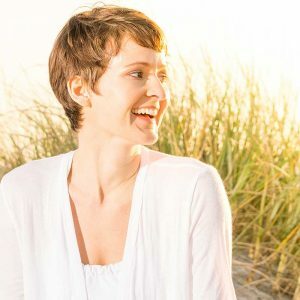 In the event of a cancellation of the nature described in this paragraph, Living Well, Inc. will give its attendees the option of a refund of monies paid or will grant carryover of the payments to apply toward tuition for an on-site course or future retreat event of the students' choice. Student will be responsible for any balance remaining between the refund amount and the substituted course tuition or event fees, if applicable. REGISTRATION/PAYMENT/PRICING Retreat event prices and registration policy are subject to change without notice. Retreat prices and dates shown in our online catalog supersede all other pricing and date sources, including but not limited to: email marketing, snail mail brochures, online brochures, and other references that may be contained within the PYTI web site or PYTI correspondence. Retreat prices are in US Dollars. US funds are preferred, but you may contact us for conversion. It may cost you less if you convert on your end. If retreat price changes after you have submitted your registration and payment and you have received confirmation of same from PYTI, you will not be billed for the difference in price. If full payment or $500 deposit has not been received by 7 days after submittal of registration, your registration will be cancelled. We will notify you if your registration is at risk for cancellation for this reason. Registrations submitted within ninety days of retreat start date require immediate full payment. Registrations are processed in the order received. Professional Yoga Therapy Studies operates under Living Well, Inc. Payments should be made to Living Well, Inc. and posted to PO Box 4661, Emerald Isle, NC 28594.